Welcome to my S’more app review! You may be wondering whether the S’more app is a scam or legit, or if it’s even worth the space on your phone to download. The S’more lockscreen rewards app is definitely not a scam. And for me, it’s well worth the space it takes up (about 50 MB) – after all, it pays me real money! The S’more Lockscreen Perks app actually pays you to unlock your phone every day. 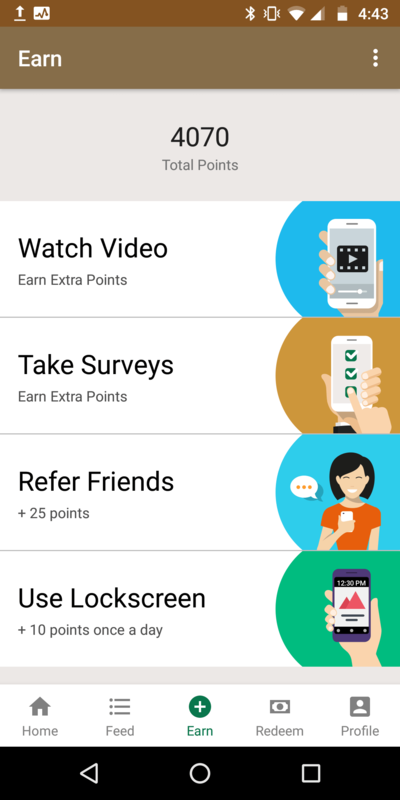 They also offer a referral program, paid surveys, and videos you can get paid to watch (new feature). S’more has been around since early-mid 2016, so it’s still fairly new. I’ve been using the app on my phone for nearly two years now and have earned $149.15 so far. What is the S’more App? How Does it Work? The S’more app pays you 10 points (cents) a day in exchange for showing content and ads on your phone’s lock screen each time you wake up your phone. You don’t need to click on an ad in order to receive points – all you need to do is use your phone like you normally do. When an ad shows up after you turn on your phone, you just have to swipe up and the ad will disappear. The S’more app is only available on Android devices, since Apple doesn’t allow third-parties to access the lock screen. It’s also only available to residents of the United States and its territories. 1 point is equivalent to $0.01 (a penny), so you’ll essentially be earning 10 cents a day with this app. However, the only redemption option is Amazon gift cards (not real cash). Update – you can now redeem your points for the following gift cards as well: AMC, Applebee’s, Best Buy, CVS, Domino’s Pizza, GameStop, Google Play, Starbucks, and Target. The minimum points required to redeem for one of these gift cards is 500, except for Google Play (1,000 minimum). S’more will automatically give you 50 Points just for installing it on your phone. In other words, you’re actually getting paid to install the app! There seriously is no obligation to click the lock screen ads, and S’more even states that they and their advertising partners want you to use your phone the same way as you already do. However, S’more does make money when you click on ads, so I’m sure they wouldn’t object to you clicking them either. With the S’more app installed on your phone, you’ll earn 10 points a day as long as at least 1 ad shows up. So, you will need to turn your phone on at least once every 24 hours in order to receive points. S’more also gives users the option to take surveys for additional points. The surveys are from Peanut Labs, not from S’more itself. The payouts are generally low, and in my opinion not worth the time it takes to do them. Unfortunately, oftentimes you’ll disqualify from a survey, even after spending lots of time on it. This is because the company conducting the survey is targeting a specific demographic, and if you’re not a match, you’ll be kicked out. S’more is generous enough to reward you 1 point for each survey you disqualify from though, so at least you’ll get compensated, albeit by a tiny amount. S’more recently launched their paid video section (April 2018). For every three videos you watch, you’ll get paid 1 point. I tried it out, and there were only two videos available to watch…so I haven’t gotten my point yet, but at least it saves your progress, so when another video becomes available, it’ll count as my third. Update (10/3/18): videos generally don’t run out anymore, at least not for me. I’ve been able to watch tons of them in a row. Your mileage may vary though, I’m not sure. The “videos” are more like ads, and they last for 30 seconds (at least that’s how long the ones I watched were). And sorry folks, you can’t leave the videos running while you do other things – at the end of the video, you have to close it before you can watch another. So this is not a “set it and forget it” way to make money like EarnHoney. The final way to earn money with S’more is by referring others to the app. When someone joins S’more, and enters your referral code, they’ll get an extra 25 points. Once they cash out for the first time, you will earn an additional 25 points. This isn’t the most lucrative referral program, so you can’t expect to make much this way unless you have an army of referrals. However, every little bit adds up. How Much Can You Expect to Earn with S’more? Well, since you get the equivalent of 10 cents a day just for having the S’more app installed on your phone, that’s an extra $3 per month. It’s nothing substantial, but a $3 Amazon gift card every month can go a long way. And just think, $3 per month equals $36 per year, which is enough to cover some Christmas shopping. If you take surveys, you could potentially make a lot more with this app. But, like I mentioned earlier, the surveys aren’t worth your time in my honest opinion (though you may disagree with this if you love taking surveys). The amount you can make with referrals really depends on how many people you can convince to enter your referral code when they sign up. As an example, let’s say you convince 100 people to enter your code when they join. Assuming ALL 100 of them cash out, you’ll earn a total of $25. Not bad, but getting that many people to use your code would be quite a feat unless you have a huge network of family, friends, and followers. At the time of writing this review, S’more only offers the option to trade in your points for certain gift cards (including Amazon). I’ve redeemed 3 times, and have always received the gift card immediately. Yes, once you reach 150 points you can redeem them for a $1.50 Amazon gift card. After the first redemption, you only need to reach 100 points before you can redeem them. 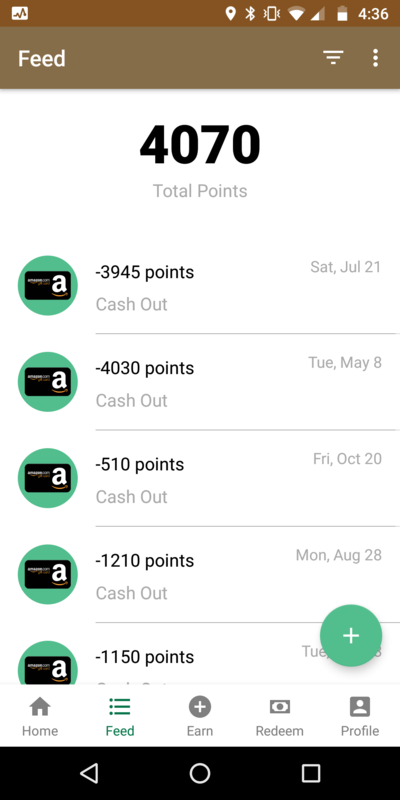 Since the app gives you 50 points just for joining, it will take 10 days (instead of 15) before you can cash out provided you only use the lock screen feature (if you take surveys or refer others, you can potentially cash out much sooner than in 10 days). Nothing new here. Almost every single survey site is like this, unfortunately. My advice is to simply skip the survey part of this app, and instead enjoy the 10 cents of passive income you’ll make every day you have it installed on your phone. Be sure to use your phone at least once every thirty days if you want to keep your points. I’m sure the vast majority of people use their phones multiple times per day, so this really shouldn’t be a problem for most. Thought I’d mention it though, just in case. Make sure to redeem your points at least once every 12 months, or you’ll lose them all. Obviously, this isn’t a big concern – I’m sure the vast majority of people are eager to redeem their points regularly. Although their Terms of Service states that running the S’more app on multiple devices within the same IP address is allowed, some people have been banned for doing exactly that. If you’re interested in learning more, check out this Reddit thread on the matter. The S’more app is definitely a legitimate (and super easy) way to make some steady pocket change each month. I’ve been using it for nearly two years at the time of writing this, and I haven’t run into a single problem yet. You’ll see a lot of one-star reviews on the Play Store, but almost all of them are from people complaining about disqualifying from surveys, and having their points expire because they hadn’t been able to use their phone for a month. If you use your phone regularly, have S’more installed on only ONE device in your household, and skip the survey section (unless you enjoy taking surveys), you shouldn’t encounter any problems. Are you looking for a way to make a living working from home online? Although the S’more app will make some decent pocket change each month, 10 cents a day won’t pay the bills. I’d suggest starting your own blog or website – that way your earnings potential is only limited by the amount of work you put into building out your site. This is what I do, and it’s actually a lot easier than you might think. 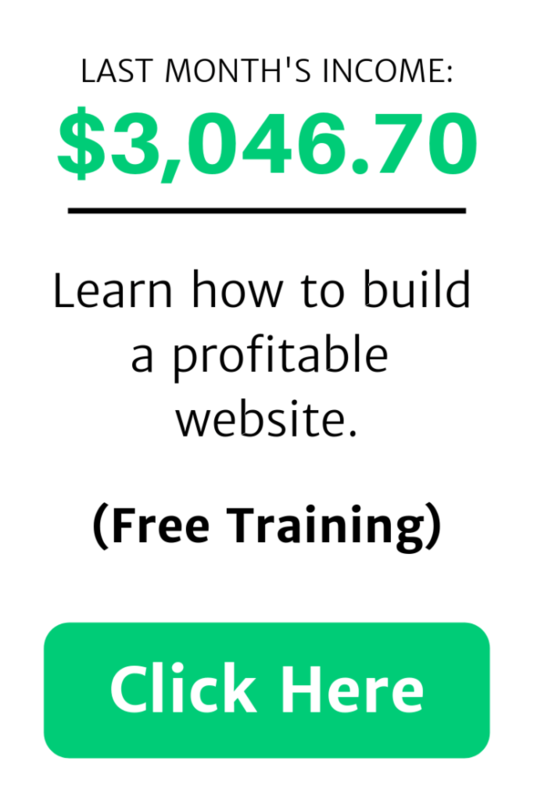 I found an awesome training platform that teaches how to do this, with step-by-step instructions and an extremely helpful community of like-minded individuals. Click the link at the bottom of this post if you’re interested in learning more. Have you ever used the S’more app before? What do you think of it? Feel free to leave a comment below, and if you have any questions, I’d love to help out! It should be right when you sign up for the app. If you are already signed up I don’t think there’s a way…. To redeem your S’more points, go to the Redeem page within the app, then click the Amazon gift card at the top. Once you select the amount you want to redeem, click the Redeem button. You will receive the gift card code in the email you signed up with (which can be found on the profile tab). I need a number in order to sign up, it’s annoying honestly. I use a texting app, and I cannot use it to set up an account?? Can anybody help please? Seems that I don’t have Amazon as a gift card option anymore as well. The app description still claims that Amazon gift cards are available, though. Have you tried contacting them? That would be sad if Amazon gift cards have been discontinued! S’more just re-added Amazon gift cards as a redemption option! I am just amaze of the many ways you can make money in this day and time, who ever would have thought that the day would ever come when you would have devices such as these to make money. I am sure that persons would take advantage of this because this is a cool way for anyone and this dose not cause you. This is a great review and you explain it very well. I know, the various ways one can make money online these days seem almost limitless. Unfortunately, most of them are only good for pocket change (like the S’more app), but here and there you can find some ways to make a full-time income working online. Lots of people have taken advantage of S’more – in fact, it has about 100,000 downloads. I expect that number to climb as more people discover this neat little app. Thanks for leaving a comment. Have a great day! Thanks from taken way to making Moby.